There are two principle ways to use quizzes for lead generation. 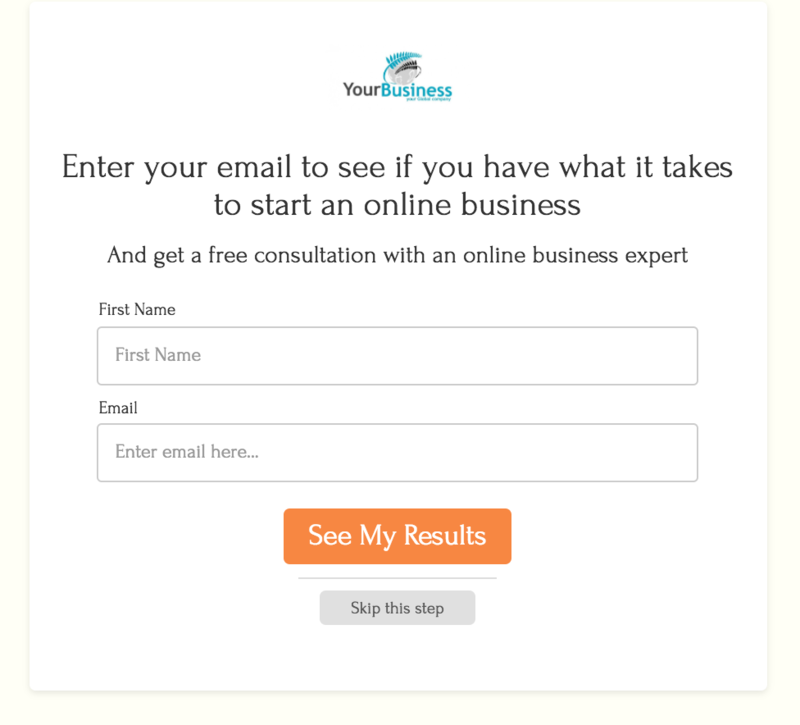 The end goal with this tutorial is to get your quiz up and running on your website, replacing existing lead magnet offers you have. We've consistently seen this one simple change increase inbound leads from websites by 100% (get twice as many leads from the same traffic). Let's start at the end. there are 4 main places that you can link to a quiz from your site. Simply adding quiz links in all 4 (or even 1 or 2) of those places will increase your inbound leads from your website by 100%. So let's look at how to implement a quiz in these areas to get your leads going. I'll break this down into a few sections. Part 1: Selecting the right quiz. Interact has templates for every industry, so to select the best possible quiz for your business, choose the right category that you fit into and then grab a quiz that matches your brand. So for example, if I'm a marketing consultant who helps people start their own online businesses, I'd select "Marketing" as my category and then choose the template "Do You Have What it Takes To Start An Online Business?" Once you load in the quiz, you can click the "Styles" tab in the left grey sidebar to customize how your quiz looks. You can change the quiz background color, font color, button color, and font type, as well as add your own logo to the quiz. And here we go, I've got the quiz looking the way I want. There are two parts to the quiz content, questions and results. Interact quiz templates are set up to be fully formulated out of the box, so you don't actually have to change anything, but I want to point out what you can change if you want to. There are lots of customization options. You can change the question type to be text or image. You can change the answer choices to be text or images. You can edit the result correlations or scoring, you can add an answer choice, and of course you can change the question itself or any of the answer choices. My advice on questions is to edit the wording to match the way you talk, and not worry about the rest of the logistics, Interact quiz templates are already set up for conversions. *If you are interested in customizing the questions, here are some quiz best practices. You can change the result title, image, description, and call to action button (which links to a relevant resource or offer based on your quiz outcome). Again, what I recommend is changing wording to match the way you talk. You should incorporate as much detail about the result as it pertains to the questions of the quiz as possible. One thing to absolutely do is add call to action buttons that link to relevant resources or offers based on the quiz takers' outcome. In the example below I've changed the CTA button to say "Click here to schedule a free consultation" which would link to my scheduler for a consultation, which is a logical next step. 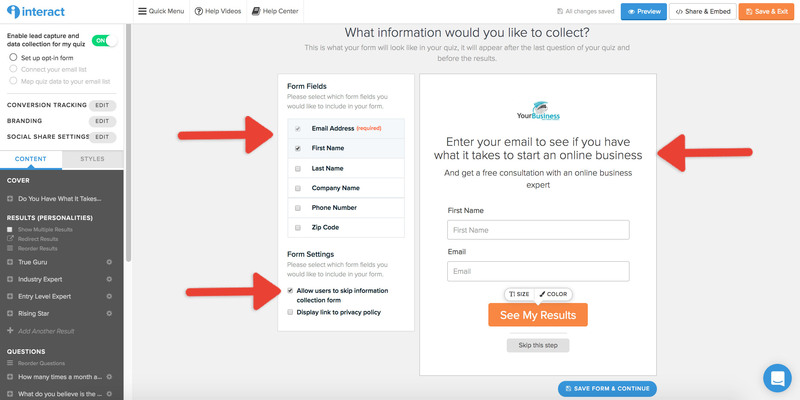 Your quiz can generate leads by presenting an email capture form after the last question that is required to see the quiz results (or you can make it an optional email capture). I've put an example of the finished product below so we know what we're setting up here. On the back-end, when you connect an integration, you'll get to choose what happens in your email marketing program based on which quiz results someone gets. So for example, if you want to send different automation sequences to quiz takers based on which quiz result they get, you can do that. This setup looks slightly different for each email marketing program, but I'm going to demo it here with ConvertKit so you can see how each quiz result connects to a different sequence. So let's run through it. First, you'll click on the option to "Enable lead capture and data collection for my quiz" from the quiz builder's left side menu. Now, choose what email marketing program you want to connect to, Interact has direct connections with all major email marketing programs and is connected to Zapier for everything else. Then you can connect your quiz results to sequences in ConvertKit (or your email marketing program of choice). Now you can test the integration to make sure it's working properly and sending the correct follow-ups before you put it live. We highly recommend embedding the quiz onto your website so quiz takers can have the entire quiz experience on your site rather than on a separate website. If you can't embed the quiz for some reason, you can use a dedicated quiz URL, but it will open in a new website. Then, click "Copy Embed Code" to get the iframe code that you'll be adding to your website to make the quiz show up. Now paste that code into your page, making sure you are in "text" or "html" mode within your page builder of your website platform. Now publish the post and your quiz is all set up as a page on your site that you can link to! 1. Front and center. To add a quiz to the front of your website, you'll most likely be using your theme builder or CMS that runs your website. Add a link to the page on your website where the quiz is embedded, or set the link to trigger a popup where the quiz can be taken right on the same page. 2. As a popup. If you want to set up your quiz to pop up on your website, us a plugin like easy fancy box for Wordpress, which will allow you to embed the quiz onto the popup and then set the popup to automatically open when a page loads, or you can add a link to the quiz from your popup like the screenshot below. 3. 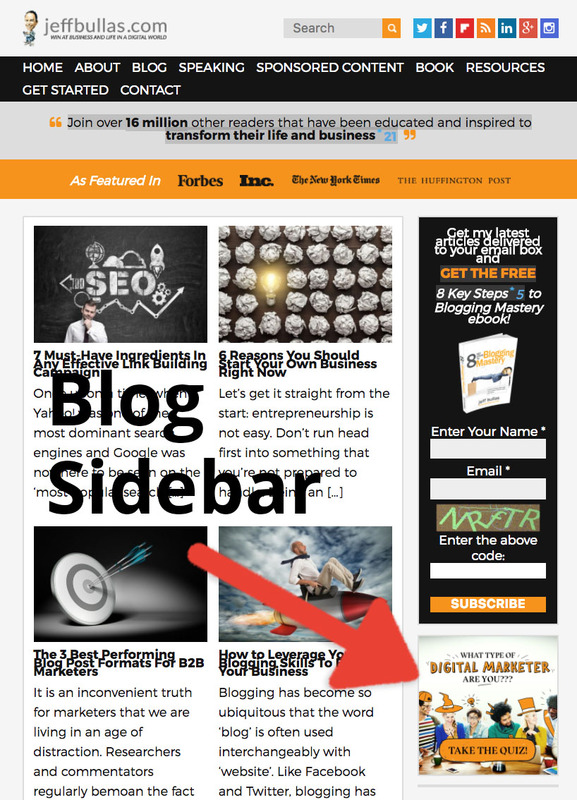 In your blog sidebar. 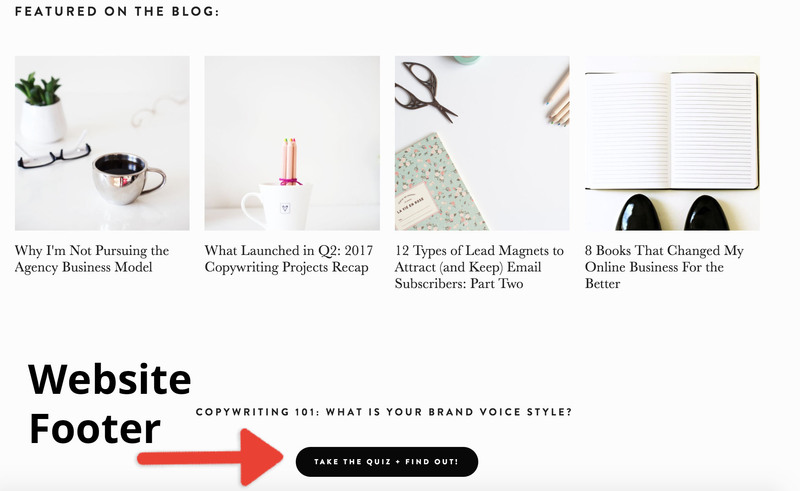 To put a banner in your blog sidebar for your quiz, use Canva to create a nice-looking image, like I did in the screenshot below. Then link it to the quiz page you set up in the previous step. 4. In your website footer. This one will also be handled by your website builder. You can add a button to the footer that links to the page you set up with the quiz on it. There are a lot more customization options that I won't go over here, but be aware that they are possible if you want to use them.